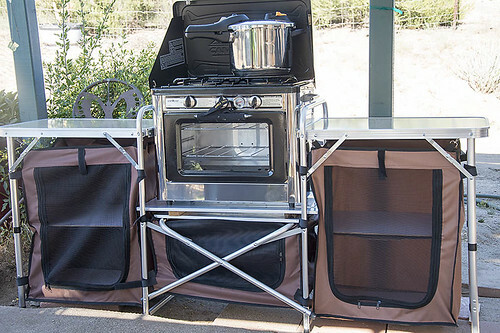 I've been using my "makeshift" outdoor kitchen a lot this summer. Pretty much the only meal I cook indoors is breakfast, so needless to say my outdoor kitchen, grill and smoker are getting quite the workout. When I cook outdoors I put all my ingredients on a cookie sheet to safely carry everything outside. 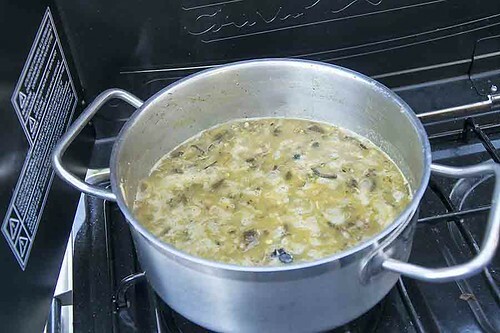 The ingredients for the sauce are vegetable oil, flour, onion, garlic, coriander, salt, green chile and chicken broth. 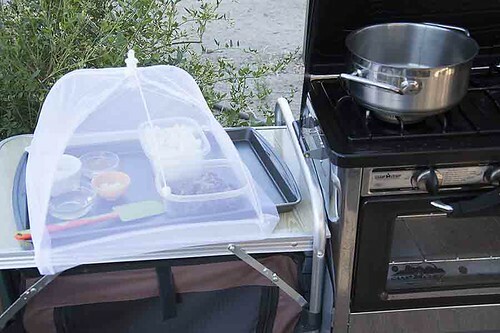 It's pretty handy having mesh food tents when you are cooking outdoors. The flies like my cooking too. 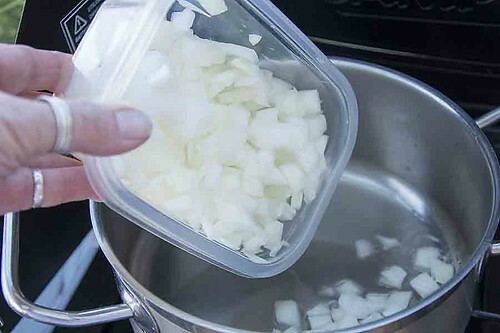 Heat the oil in a medium saucepan and saute the onion until softened about 3 to 4 minutes. 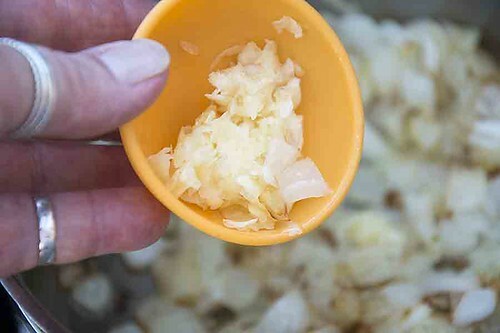 Add the garlic and sauté for a few minutes more. and the seasonings. 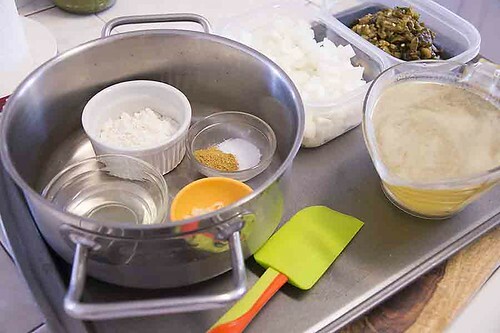 Stir, stir, mix, mix. Slowly add the chicken broth, stir, stir, mix, mix. Bring the mixture to a boil, reduce the heat and simmer for about 15 minutes. 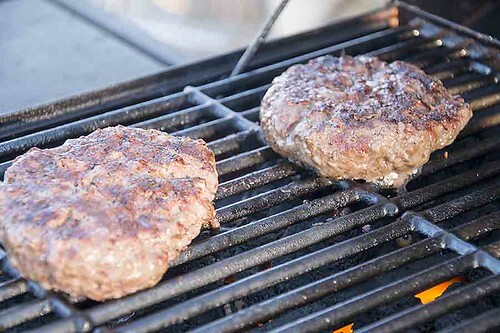 While the sauce is simmering, grill a couple of beautiful burgers. 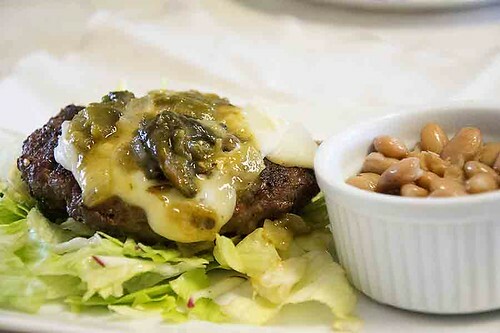 Then top with a slice of cheese and the green chile sauce. It doesn't get much better than this. 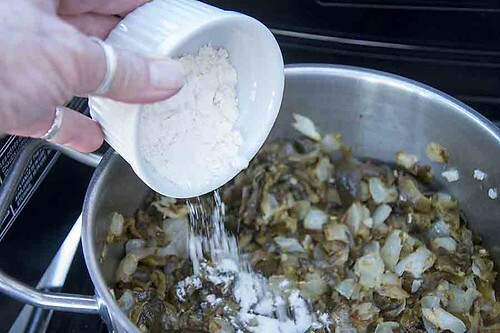 Use this basic sauce for Chicken or Cheese Enchiladas, or as an accompaniment to meats or fish. 1. 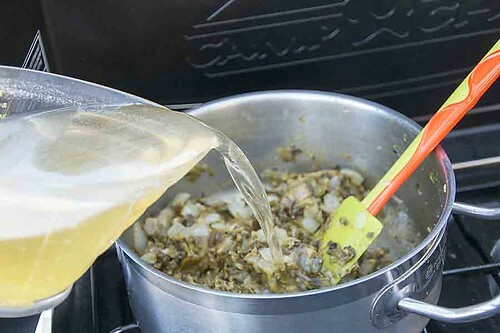 Heat the oil in a medium saucepan and saute the onion until softened, about 3 to 4 minutes. Add the garlic and saute 2 minutes more. Stir in the flour. 2. 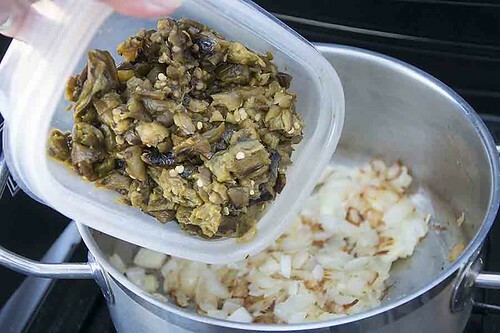 Slowly stir in the chicken stock and add the green chile and ground coriander seed. 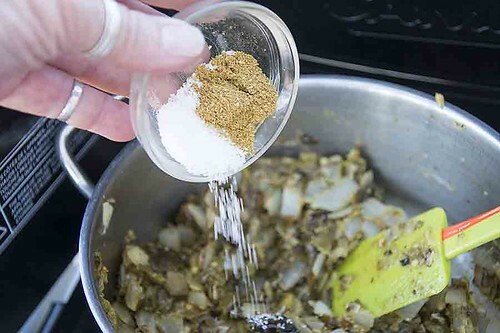 Bring the mixture to a boil, reduce the heat, and simmer for about 15 minutes. Susan D. Curtis. Santa Fe School of Cooking Cookbook: Spirited Southwestern Recipes (Kindle Locations 914-917). Kindle Edition.